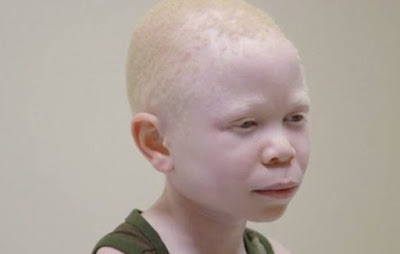 The mother and stepfather of a missing albino boy were charged with kidnapping and "intent to murder" by Malawi police on Wednesday, along with three other relatives. Twelve-year-old James Kachingwe disappeared five days ago after he didn't return to his home in the south-eastern Phalombe district, following the country's independence day celebrations. Police spokesperson James Kadadzera said that the other suspects arrested included an aunt and two uncles. "Since we have not established whether the boy is alive or dead, we have charged them with conspiracy, kidnapping and abducting with intent to murder," he said. Kadadzera said police are working hard "to end this barbaric act of terrorising people with albinism in Malawi". Malawi, one of the world's poorest and most aid-dependent countries, has experienced a spike in violent attacks on people with albinism over the past four years. In many cases those with albinism are targeted for their body parts to be used in witchcraft. The genetic hereditary disorder causes a partial or total absence of pigmentation in the skin, hair and eyes -- as a result albinos often experience eye problems and have a heightened risk of skin cancer. In a June 28 report, rights group Amnesty International said that since November 2014 there have been 148 crimes reported against people with albinism that have claimed at least 21 lives. Just 30 percent of those attacks have been properly investigated, according to official statistics, with only one murder and one attempted murder case successfully prosecuted. Of the 600 cases of violence against albinos in 28 African countries, Malawi accounted for nearly a third.